Other than that: When writing and editing non-template builder pages and posts you will need to learn to work with the new Block Editor. If you don’t want to do that there is a plugin that will disable the new Block editor and activate the old classic editor. To sum it up: As Enfold user you either will need to upgrade to Enfold version 4.5.1 or install the Block Editor Disabling Plugin, if you want to run WordPress 5.0. Otherwise you won’t have proper access to Enfolds layout builder. Fore those themes you will need to make a choice. They all use an old template builder which is not very flexible and other than Enfolds Layout builder is probably also inferior to the new Block Editor. So you can either use the Block Editor and no longer use the old layout builder or install the “Disable Gutenberg” plugin and use the old one, along with our old template builder. Apart from that: We used the new WordPress release to take a closer look at those themes and what we want to do next with them. We unfortunately came to the conclusion that it is no longer viable to maintain them at this point. Hmm.. I’ll just stay on WP v4.9.8 or switch to ClassicPress perhaps.. anyway, will this theme update do anything with v4.9.8? I mean break something as it surely include gutenberg overrides? Kriesi is 100% correct; I have a client whose web hosting company automatically updated without even notifying me. Fortunately I had just updated the client’s theme to 4.5.1 and everything works just fine. If you are adding a new post or page, top right of the main column you will see a button labeled “Advanced Layout Editor”. Click that to have all the options you’re used to in Enfold. ENFOLD 4.5.1 + W 5.0: damit kann ich die SEITEN wie gehabt mit dem ALB bearbeiten, die POST kann ich dann mit den Gutenberg-Editor gestalten? Also ALB + Gutenberg-Editor parallel, ersterer für SEITEN, letzterer für POSTS? 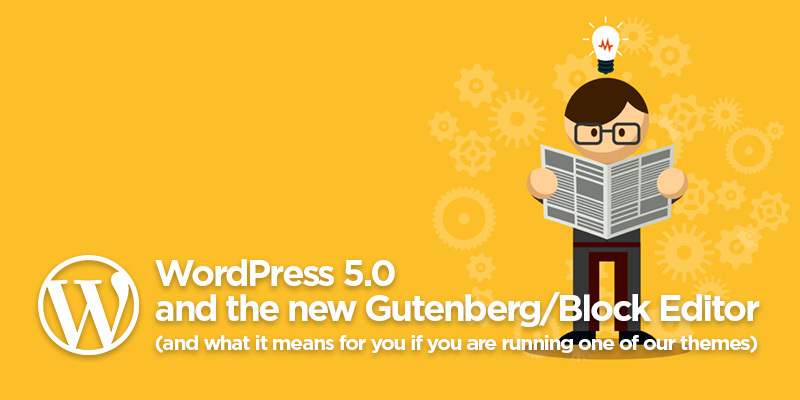 Ich habe WP-5.0 und Enfold 4.5.1, jedoch erscheint hier als Standard-Editor Gutenberg. Muss ich irgendwo eine Einstellung vornehmen, um ALB wieder zum Standard zu machen? Thank you for the clarifications Kriesi and Team. I have just signed in this morning to see that version 5.0 updates are available on my client’s websites. I was going to delay the update until I read this article this morning. I have Enfold v. 4.5, but I don’t get any notification on updating to 4.5.1. on the Enfold panel on my website back-end. How do I update the theme from INSIDE WordPress? I cannot just ownload it from my Envato account and reload it again: I’m afraid it would cause somethign to the website. Let the ALB beyond the elementor and any other builders. More choices, more changes. When I click on the ALB/default editor, all the content turned to shortcode block. If possible ALB layouts as elements of Gutenberg. one of my site is breaking and the hosting support says Enfold theme is not compatible with WordPress 5/0? Same on my side. Updated to 5.0 and also updated Enfold to 4.5.1.
this sounds like an issue people had a few versions ago when we changed the folder structure of enfold. Did you update via ftp? If so I would try to do that again but instead of overwriting the enfold folder delete it completely and then upload the new one. As a longtime user I wouldn’t mind seeing you guys transition to a yearly fee license model. Want you guys to keep doing great things for the long term. What would happen if you just installed classic editor (there is an option to do that when you upgrade to 5.0) instead of using the disable blocks plugin as you described? Is one better over the other? If i update to 5.0 and put this code in the functions.php the classic editor is in use and there is no problem using Advanced Layout Builder. The WP 5.0.1 version removed the smoothness I experienced with Enfold 4.5.1 and when working on an Enfold powered website today I experienced way to many issues to continues to feel satisfied: Can not drag and drop the text module if I move the cursor to the bottom of my browser (when you want to move further down in Avia to place the module at the right spot). Edited a text module, the text is gone. Edited an Icon List, the preview include the image from the color section above. Edited another text module, no text and a strange bar accross the module in question. However, installing Classic Editor solved all the issues. I look forward to the continued development of Enfold and hope to be able to use it with WP5 for years to come! There is a problem with modifying pages that were written/added in WP 4.9.8 and with Enfold 4.4.1 with using Advanced Layout Builder. After complete update (WP 5.0.1 and Enfold 4.5.1) I can enter in an edit mode of the “old” page, but Advanced Layout Builder is frozen. Basically, I cannot edit content of the page. Simple, but arduous solution is to create whole new page and then everything is working properly. Guys, do you have another solution to that problem? I would rather avoid creating copies of current pages manually. My hoster provides PHP 7.3, so I did an upgrade of my website to this PHP version (had PHP 7.2 previously). I guess that Enfold (in my case v4.5.1) is not compatible with PHP 7.3 yet. Is that possible and if yes, when will that be resolved? Enfold. Will it break the site completely to try to update the theme from a version that is that old? Please advise. Thanks. I have WP 4.9.8 install by my Provider, and can i Uptate Theme Enfold to 4.5.2 its work than with my WP 4.9.8? At the moment are running Enfold 4.5 on my Host. Or ist the new Enfold 4.5.1. and 4.5.2. only for the new WP 5.0.1. Version compatibel? I have 7 or 8 sites running Enfold and as such have been very nervous as I also provide a managed service to look after these. The 19th Dec release of Enfold is running on one of my live sites, without the Classic Editor plugin installed and WP 5.0.2 – so far all the issues I’d previously found (and subsequently had to install the classic editor) seem to be resolved. I thought I would post this purely for people info – I’m not going to update the other to WP5 for a while as I’m sure other issues will surface – particularly as WP seems to be updating minor releases at a fairly rapid rate – but so far so good with the latest release. My website doesn’t work properly anymore since the update to WP 5.0. I can’t change any texts or add new elements. So I tried to upgrade the theme, which says version 3.8 at the moment, but it shows this message: “No Updates available. You are running the latest version!” What should I do? ?